This year the tournament was altered to a 16 player rapid tournament. A week or so before the event started we were told the composition of our groups. As rapid ratings were used and I’d had a bit of a disaster losing 34 points on the November list I was to be the bottom seed in my group. I was joined by Hikaru Nakamura, the top seed in the competition, World Championship runner up Boris Gelfand and the top female of all time, Judit Polgar; it was going to be tough! Malcolm Pein, the chief organiser of the event, is always trying to get more people attracted to chess and this year the day before the Super 16 started we had a fun day with various side events where people could be paired with the GMs. I was in the Pro-Business Cup and playing alternate moves with Jeremy Hodgson, a strong player in his own right and brother of Julian who was one of the World’s top players. I already knew Jeremy well as he lives quite nearby, is a team mate of Sue’s for the Hammersmith Club, and kindly invited us to dinner a couple of months ago. We were paired against the top coupling: David Howell and Ali Mortazavi, not only a Chief Executive but also a strong and highly tricky IM. To make it tougher we even had Black! David played the first move and I responded, then Ali made his move and finally Jeremy responded to that. No conferring was allowed. The game developed as a Symmetrical English and Jeremy played fantastically and we completely outplayed them, ending up a rook up but unfortunately we were swindled as we had to just play on increment. You can find more information here. and the games are also online. 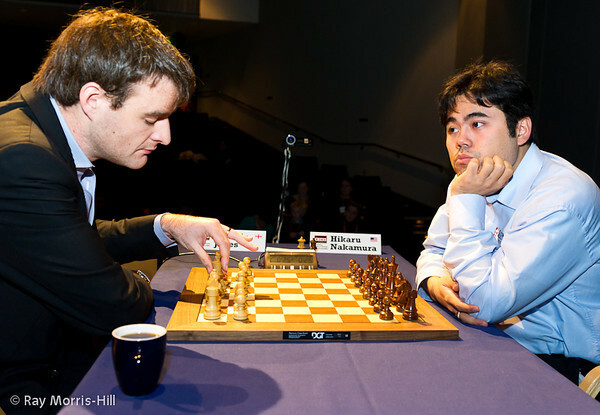 The tournament proper started the following day and my first game was with White against Hikaru Nakamura. I played 3.g3 against his 2…e6 Sicilian and we transposed into a Kings Indian Attack. I decided to deviate from a couple of my previous games on move 11 and reached a position I was quite happy with some initiative against his king. Hikaru played riskily, declining repetition a couple of times and gave me very good attacking prospects but I became very short on time. I erred and there was one point where he missed a win but in the end the game petered out to a completely drawn ending. That evening I played my second game with Black against Boris Gelfand – a tough start! We had a Classical Kings Indian where I was slightly more passive but felt I defended well and was almost out of the woods when I made a slip allowing Boris to go into a very good king and knight endgame that I couldn’t hold. While I was disappointed not to have held the draw I still felt I wasn’t playing badly and was ready for Day 2. The top two from each group qualified for the knockout phase with football scoring of 3 points for a win and one for a draw. Round 3 was probably the critical one in my hopes to qualify. 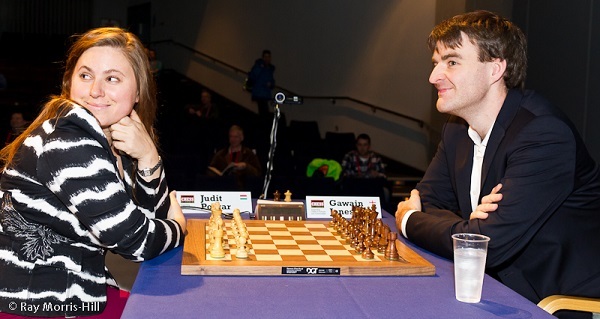 I was White against Judit Polgar and we had another Sicilian; this time an …e6 Rossolimo. Judit, evidently trying to avoid theory, played an offbeat move and I had a pleasant advantage which I managed to build to almost decisive proportions. There was a pawn I should have taken but instead opted to pick up the exchange but Judit picked up a pawn and I was no longer better. I carried on attempting to win and we reached a highly complex endgame with her having two pawns for the exchange. Objectively it should have ended a draw but just before the end I blundered allowing Judit a pawn that was too fast and thus I was on just 1/9 at the half point stage. Of course this was a big setback after having had such a pleasant position but it’s very difficult to keep control in rapid chess (this tournament was 25minutes+ 10 seconds/move). Round four was likely to be the toughest of the competition with Black against Hikaru Nakamura. He played 1.b3 but something went wrong quite early for me and straight out of the opening I was defending an unpleasant endgame which I failed to hold. By this point it was mathematically impossible for me to qualify and this released pressure on me and I decided I just wanted to get a win under my belt. What opening better than the Dragon to achieve that goal? My game with Judit followed our game from last year’s Classic before she deviated on move 13. She spurned forcing a draw on move 20 and after that I was better and eventually I converted. I think Boris went wrong with 16…Qb5 when White’s attacking prospects become too strong. I declined going into an endgame a pawn up that I thought Boris would hold and instead gave a piece in a quest for mate. Boris saw nothing better than giving back the piece but he reached a lost rook and pawn endgame as my rook was far too active and his king cut off. Another win and I definitely finished the tournament on a high! Thanks to my win Nakamura topped the group with 10 points, Gelfand going through in second with 9 points, I scored 7 and Judit 5. I won’t go into detail here on the knockout phases as I wasn’t personally involved, except as a commentator, except to say that I think I can argue I had the toughest group as Gelfand and Nakamura both won through to contest the final with Nakamura triumphant. 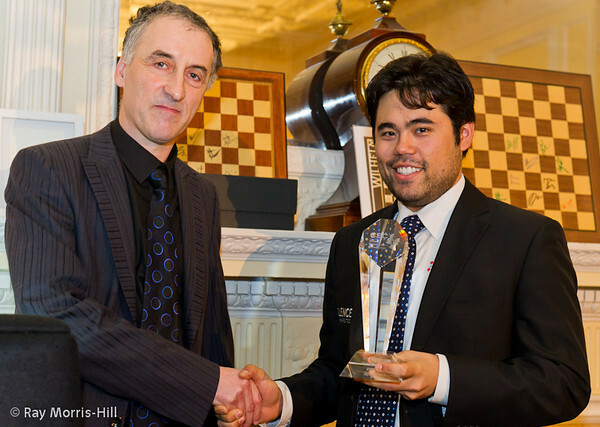 Congratulations to GM Hikaru Nakamura. I would just like to finish this article with thanking a few of the people who helped so much during the tournament. First of all my wife Sue, who made sure everything was in place to make everything as easy as possible. 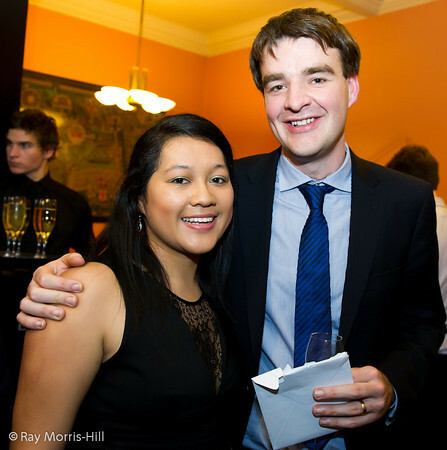 My second Richard, who worked extremely hard both before and during the tournament and was instrumental in my win over Judit. Finally I’d like to thank my parents who came over to London for the week to support him and all the others who came to watch and cheer me on. A photo of me and my beautiful wife, Sue. I really hope to be part of the event next year and if you enjoy following it you should consider donating to the Chess in Schools and Communities Charity (CSC) which does great work in the poorer areas of Britain. « Round 3 & 4 of the Super 16.